On Sunday, the November Nine will return to compete at the final table of the World Series of Poker Main Event for 2015. The tournament will begin and continue until Tuesday when the winner is crowned. The event will be broadcast live and to help preserve the integrity of the event, have a 30 minute delay. 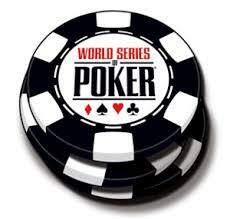 The winner of the event will earn the WSOP Main Event gold bracelet, which has a value of $500,000, as well as the first place prize of $7,683,346. The bracelet was designed by Jostens and has 427 grams of yellow and white gold with white diamonds of 25.5 carats. There are also rubies and black diamonds on the unique bracelet. The most unique aspect to the bracelet is a hidden compartment that can be used to hold the final hand hold cards of the winner, a perfect memento of the occasion. The event will be aired on ESPN and WatchESPN application beginning this Sunday at 8:30 P.M. ET. Players and fans who wish to watch the footage while living in other areas of the world can check their regional channel for ESPN online by using the application created by ESPN for each designated country. On Monday, coverage will begin again at 8 P.M. ET and will whittle down the field to three players. Then on Tuesday, the event will begin again at 9:30 P.M. ET and play will continue until the winner is named. Below is information on each player including seat and chip count. Tune in to ESPN beginning on Sunday evening to catch all the action as the Main Event Final Table begins.